Hey friends! 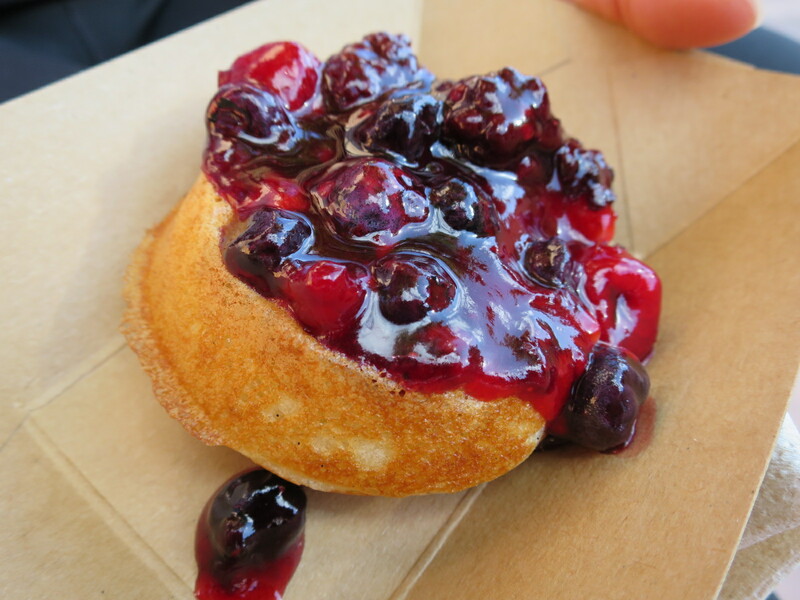 Last year in November I went to the amazingness that is the Epcot Food & Wine Festival. Like I mentioned in Part One I have never been more full of food. I thought the time when I drank 5 frozen mocha frappuccinos in a row at a Chinese buffet was the most stuffed I have ever been (I also took another one to go, but had to stop because my stomach physically hurt). I’m not sure why there were frozen mocha frappuccinos at a Chinese buffet. They’re eclectic and different. Those are some of the best places, but in this case a Chinese buffet serving frappuccinos was a bit on the not good side of things. I reached a new high point (or low point, maybe) when I ate so much during that great but gluttonous day at Epcot. Enjoy the rest of the heavenly food pictures! I love pork belly, especially when it’s crispy. 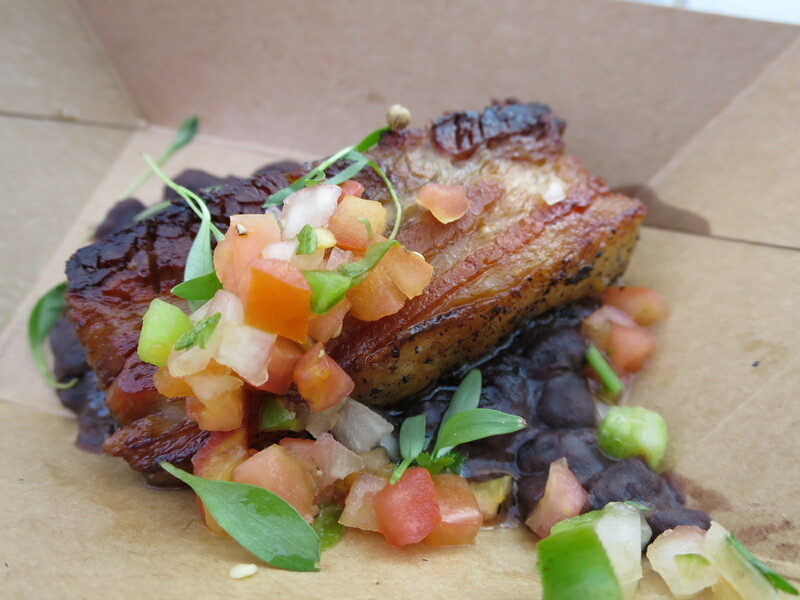 Pork belly is the equivalent to bacon on steroids (not literally though). It’s like the best, thick cut bacon. This version was a bit too salty, but it was close to perfect! Oh, Canada. I tried making a joke, I don’t think it worked out that well. 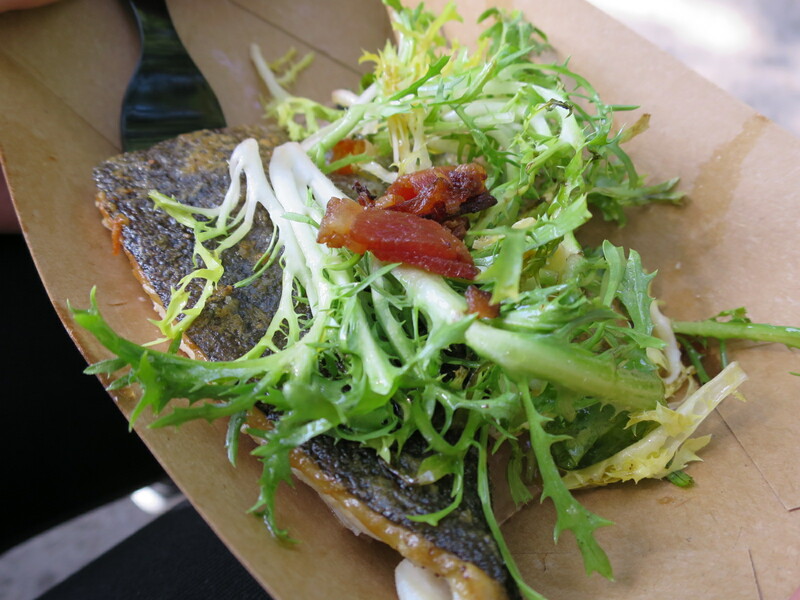 This was a very promising dish and it had one of the best components of well cooked fish…crispy skin. The bacon on top made everything better (as always) and the teeny salad on top was refreshing from the slightly oily fish (I should definitely be a judge on Food Network, preferably Chopped or Iron Chef). You know something’s interesting when the presentation isn’t the best, but the taste is so good that you want ten times more. 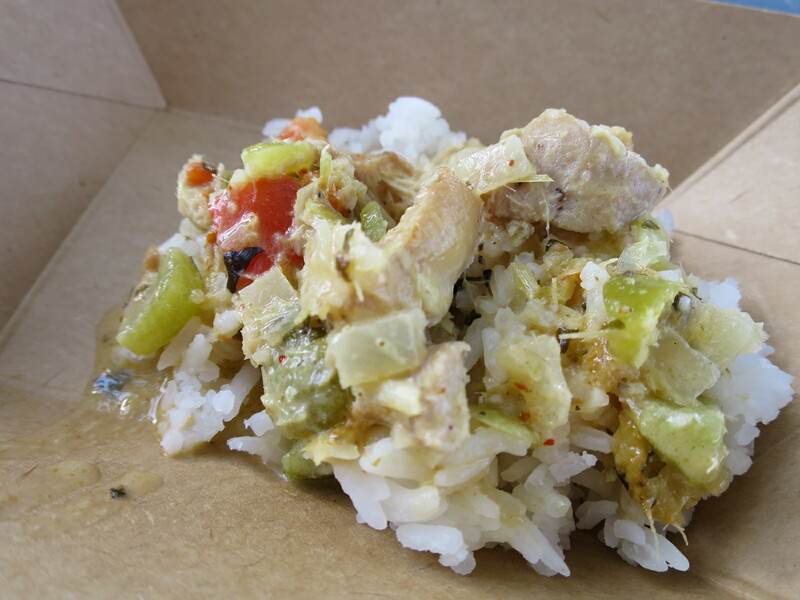 I was surprised I liked it so much since I’ve never been a big fan of lemongrass (or chicken). The addition of the coconut was a nice surprise too. Coconut + jasmine rice = I want five huge tubs of it to eat! 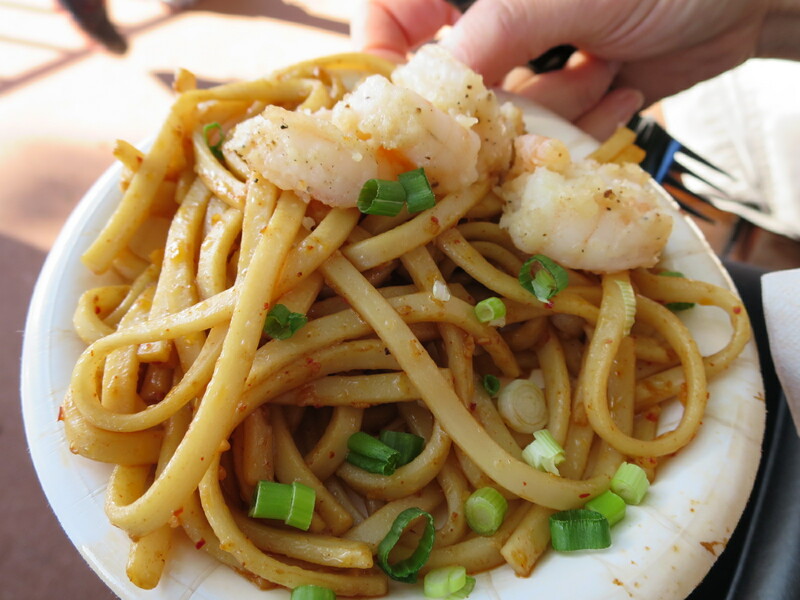 Okay, I know this dish looks like the greatest noodles you may have ever seen, but they are not. My camera is just really skilled at making things seem delectable. These were the not-so-good noodles that I ate. I was expecting it to be more high quality, but they were the same greasy noodles and weirdly textured shrimp that you find at any Chinese take-out place. Sadly. Thanks for reading! If you go to this festival then maybe go for two days, so you don’t almost explode like I did!